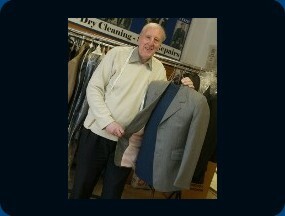 Hi I’m Charles with over 45 years experience in the bespoke tailoring business I know how to make you look good in a bespoke suit, or formal wear hire. of suits, correct in every detail and tailored to perfection. Servicing throughout West Yorkshire. 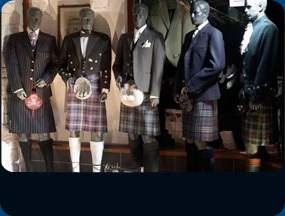 The tailoring of your suit starts with a visit from myself were you can select from a wide range of materials linings and styles to suit your needs. Arranged at your convenience and whenever you wish to meet. 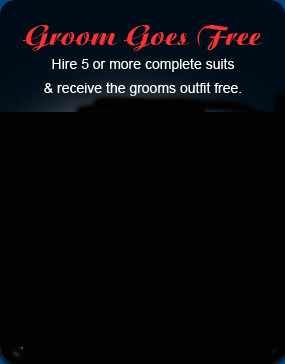 Followed by a fitting of your suit partly made up, to ensure an accurate fitting suit. 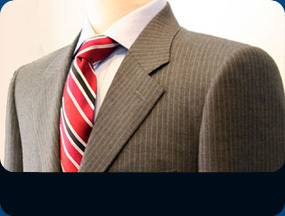 Delivery is then arranged of your complete suit when you can look good and feel great in your superior suit. the party trying on as you review our range and make your decision. show them what they are having and collect their sizes. wedding with a number of suits, hat boxes, etc . . .